Many different calcium supplements are available over-the-counter at health food stores and drug stores. You can use these to ensure that you're getting plenty of calcium, which is an important component of the skeletal system. Calcium phosphate and calcium carbonate are two common kinds of calcium supplement, and both provide well for the calcium needs of most individuals. Even though it's common to hear that you need calcium -- which is an element -- your body doesn't actually use elemental calcium at all. Instead, you need what's more properly called "calcium cation," which occurs in the form of various calcium salts. Calcium salts consist of positively charged particles of calcium -- calcium cations -- compounded with negatively charged particles of variable identity. You use calcium from different calcium salts in an identical manner. Calcium phosphate consists of calcium cations combined with phosphate anions, which have the chemical formula PO4. Your body uses both calcium and phosphate. The calcium provides for bone structure and assists in cellular communication, explains Dr. Lauralee Sherwood in her book "Human Physiology." The phosphate, on the other hand, has roles in both the skeletal system and in helping to maintain your body's acidity level. The Linus Pauling Institute notes that if you're eating a varied diet, you're not likely to be phosphate-deficient. However, the phosphate in calcium phosphate supplements won't hurt you. Calcium carbonate consists of calcium cations together with carbonate anions, which have the formula CO3. Your body doesn't require supplemental carbonate to maintain function, but the carbonate doesn't hurt you. Though you may have heard that it's hard for your body to absorb calcium carbonate, in reality, most individuals absorb it quite well. The exception, explains Deborah Straub in a 2007 article published in "Nutrition in Clinical Practice," is patients being treated long-term for acid reflux; such patients might benefit from alternative calcium sources, since it takes stomach acid to help you absorb calcium carbonate. 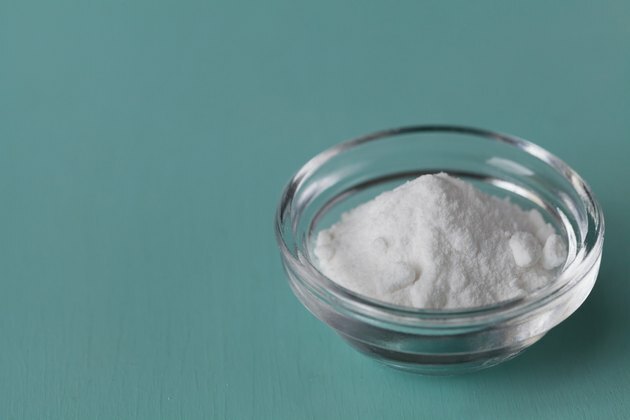 If you're trying to decide between calcium phosphate and calcium carbonate, one consideration is whether you have trouble with mild acid reflux. In addition to providing you with calcium, calcium carbonate is also an antacid and helps to neutralize excess stomach acid. As such, many over-the-counter antacids, including Tums and Rolaids, double as calcium supplements. Calcium phosphate has no such antacid properties, so it serves only as a calcium supplement.